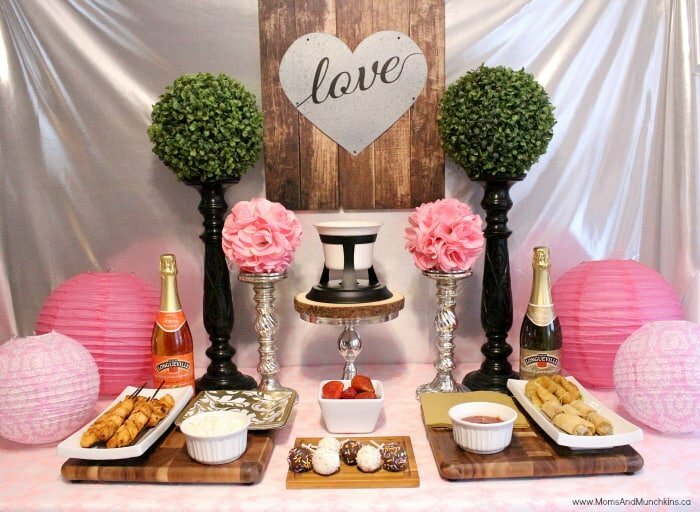 My latest party article is now available in Pink Magazine – Cupid’s Valentine’s Day Party! 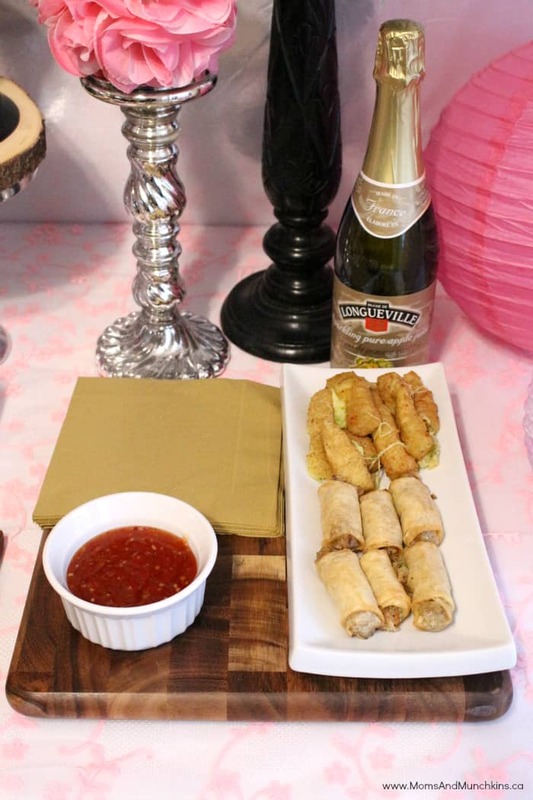 I’ll share all the party photos with you here but you’ll want to pop over to the magazine to read the full party article for decorating ideas, food, games, favors and more! I was going for an outdoorsy type theme for this party but it’s way too cold here to host a party outdoors so I tried to bring the outdoors in with wooden food trays, a wooden sign I found at Michaels, flowers, etc. 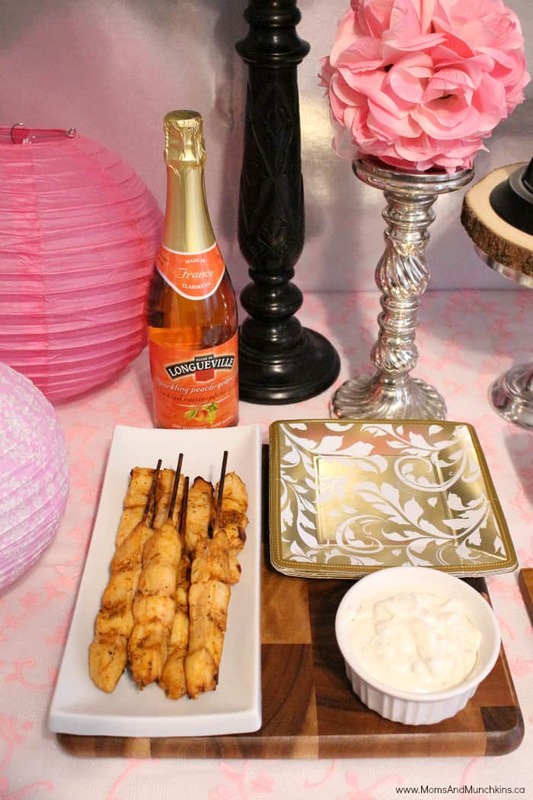 Cupid is known for his bow & arrow so I wanted to serve food in that same theme like kabobs, cake pops with “feathers” on the end of the arrows and other tasty appetizers. 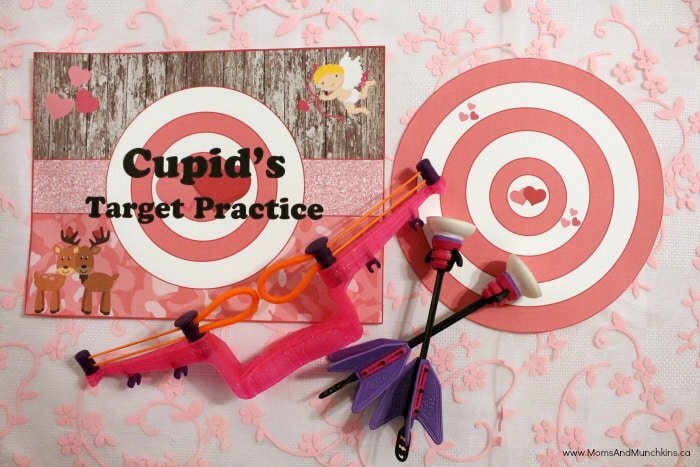 Your little guests can practice their bow & arrow skills with this fun target practice game. I found this pink & purple arrow set at Cabela’s. Don’t forget to head over to Pink Magazine to read the full article for more game ideas, favors, decorating ideas, food and more. 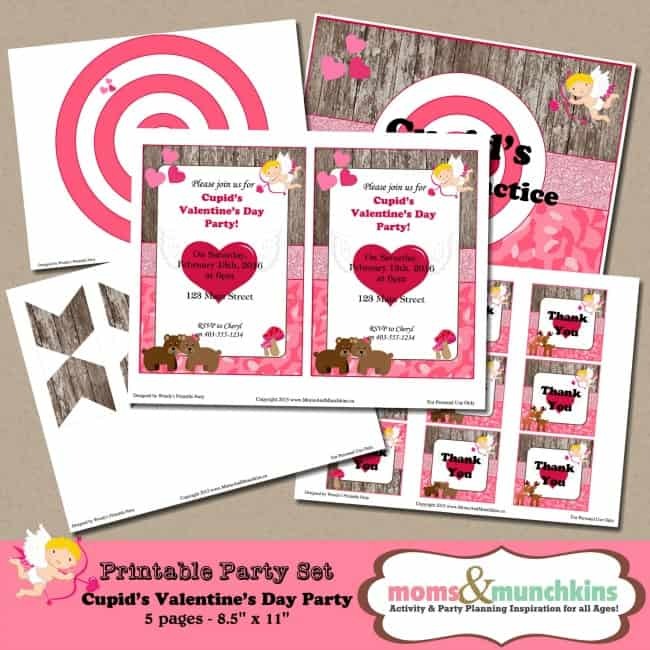 The printables for this party are available in the Moms & Munchkins Etsy shop. Thank you to the talented Wendy of Wendy’s Printable Party for helping me with these printables! 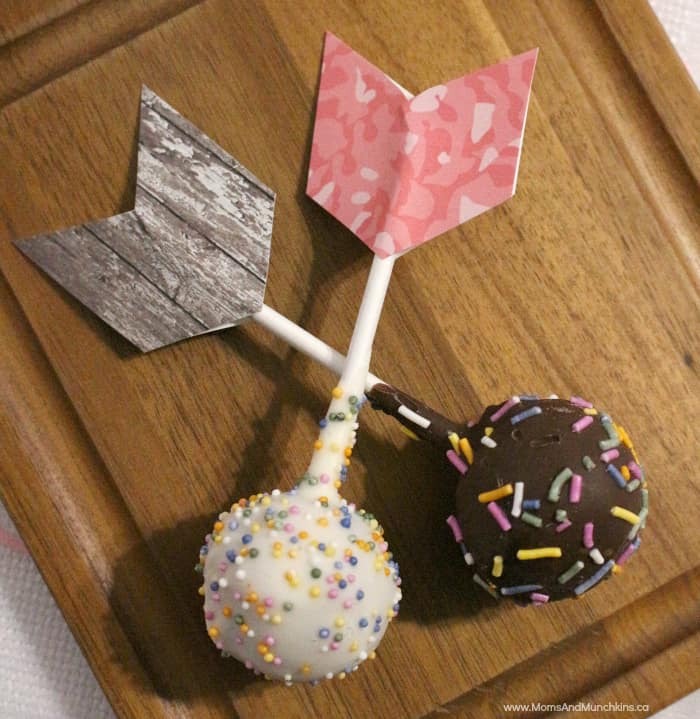 The printable party set includes the invitation (you could buy the invitation separately if that’s the only piece you need) plus the target practice sign and target, the “feathers” for arrows (as seen here on the cake pops) and Thank You tags. For more Valentine’s Day ideas, visit our special Valentine’s Day page! 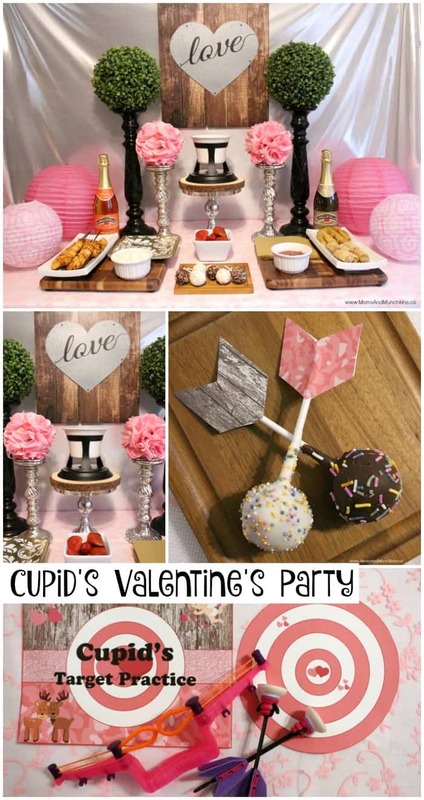 There you’ll find more Valentine’s Day party ideas, classroom favors, free printables for games and favors, delicious & adorable Valentine’s Day treat ideas and more! We’re always adding new ideas for holidays & family fun. Never miss an update by following us on Facebook, Pinterest, Instagram and Twitter! Omg, those cakepops are just so cute to eat! 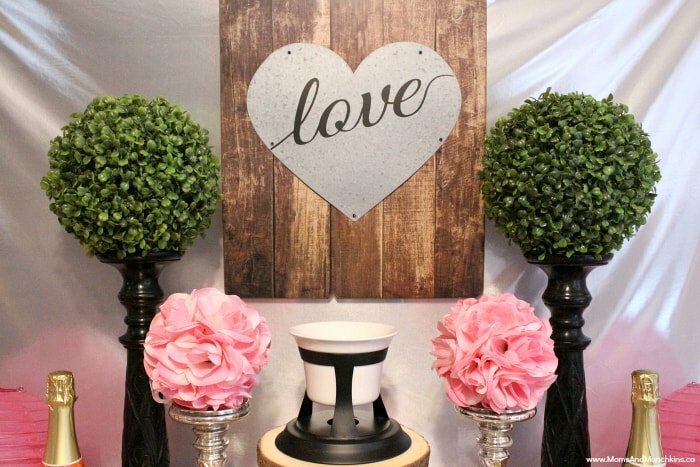 I really like this valentines day party, and that “love” sign I want it in my bedroom:) so cute! Pinning! Thank you so much for sharing! Beautiful! 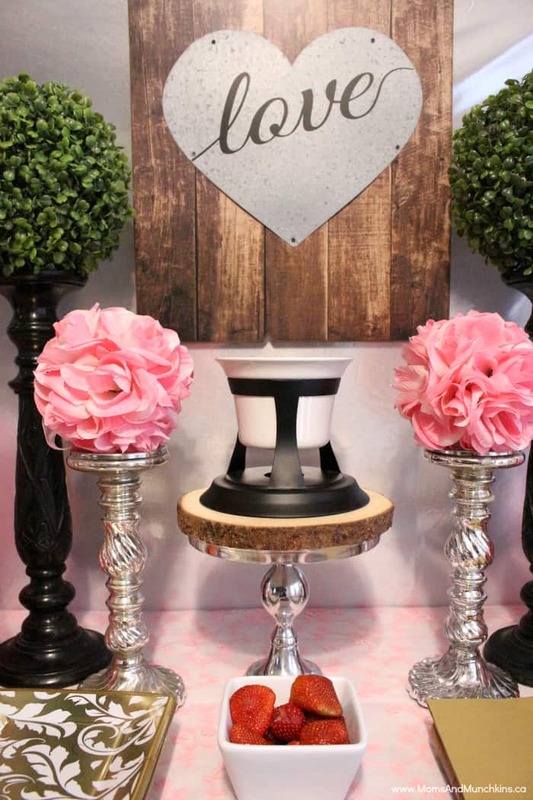 I love the Sign, the Candlesticks and the CAKEPOPS! It looks just great. 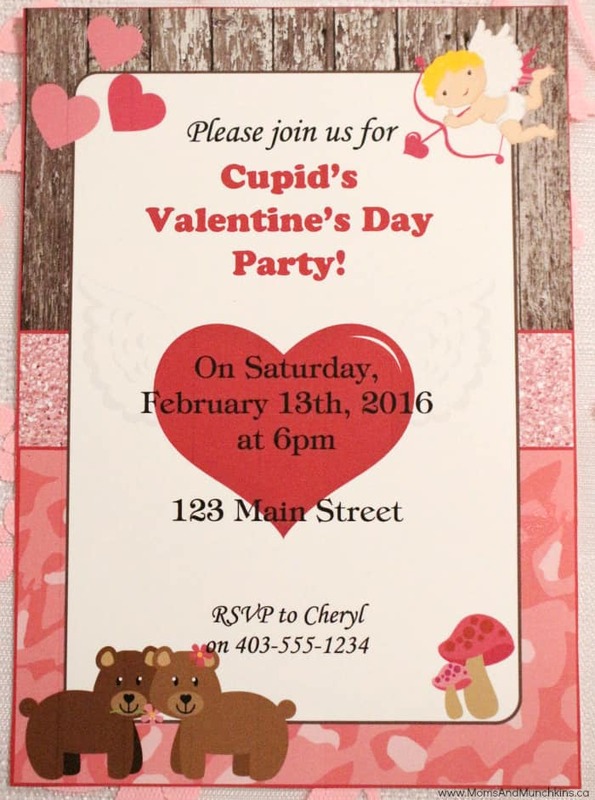 Cheryl, This is a beautiful layout for Valentine’s day! Thank you for sharing with us at Brag About It! Your party looks so beautiful and the food looks amazing!!! What great ideas!